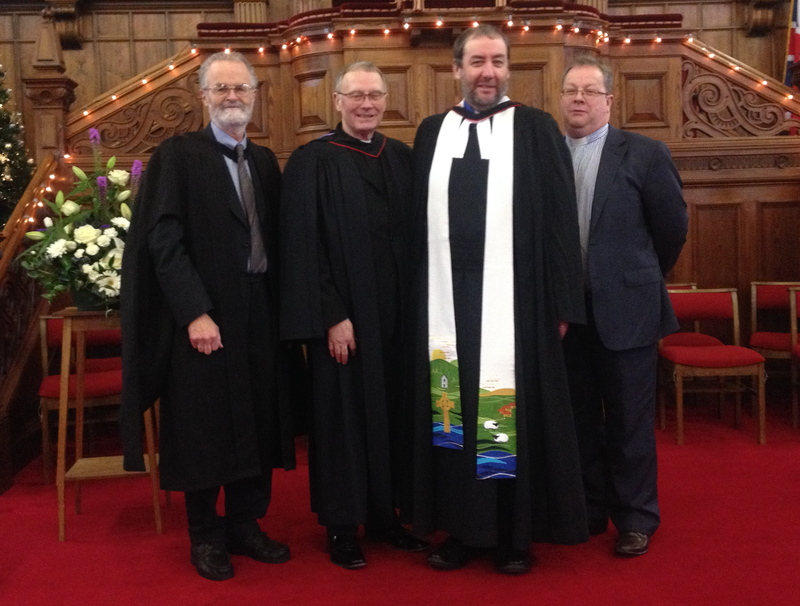 The first Ordination of an Ordained Local Minister by the Presbytery of Argyll took place on Saturday 6th December 2014 in Cambeltown. 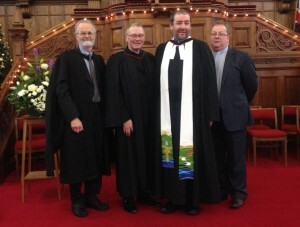 Mr William Crossan was ordained by the Moderator of Presbytery, Rev Jeffrey McCormick, in Campbeltown: Lorne and Lowland Church, with the other Presbyters present joining him in the laying on of hands. The sermon was preached by Rev David Carruthers, on I Corinthians 1: 20 – 2:5. Mr Crossan joins Rev Christine Fulcher in the Ordained Local Ministry within Argyll Presbytery, Mrs Fulcher having been ordained in the Presbytery of Annandale and Eskdale prior to moving to Argyll. Mr Crossan is based in Cambeltown, and will serve mainly in the Campbeltown Parish Grouping and in Gigha & Cara linked with Kilcalmonell linked with Killean & Kilchenzie.